LG's in-house chipset codenamed Odin has been in Rurmorland for two years already. As the rumors have it, the Odin smartphone was delayed numerous times due to overheating issues and production hiccups. According to the latest report though those have been solved and we are going to see the mysterious phone announced any moment now. If those report is authentic, then we should be seeing the Odin-running smartphone as early as this week. The insider claims the phone will be launched as part of the LG G3 series and it will be a test run for the proprietary chipset. Apparently LG isn't ready to promote the Odin on a flagship device just yet and wants to play it safe. The Odin chipset is rumored to feature a big.LITTLE configuration for the processor with four Cortex-A15 and four Cortex-A7 cores. 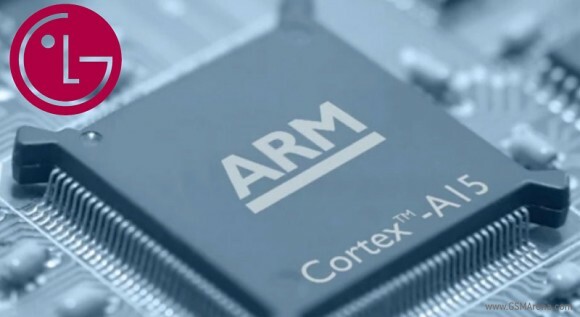 This is a powerful combination, but it should be retired soon in favor of the 64-bit ARM cores already premiering on the Exynos 7 Octa and a few Snapdragon chipsets. Hopefully LG will surprise us with the GPU - it could either be ARM's Mali-T604 (for the quad-core variant), the Mali-T760 (for the octa-core CPU), or maybe even a PowerVR Series 6. Just three weeks ago we saw an LG Liger (F490L) device make it through the Bluetooth certification authority and it is highly possible this is indeed the upcoming Odin-powered smartphone. So, the announcement should be happening any moment now, but there is no into yet if the phone will be a South Korea exclusive or not.